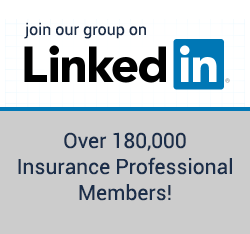 I am looking to find a few auto agents to consult with in gathering opinions regarding various facets of the online auto insurance leads/quotes market. I operate a website that gets a lot of traffic from individuals looking for car insurance quotes, and simply want to be able to be better informed about the market, process, problems, traps, effectiveness etc., to help people find quality ways to find car insurance online, and avoid common mistakes. In order to do so, I think I need to solicit opinions and feedback from agents/brokers who practice in this area. I suppose simply allowing me to send you a short email with a few questions would be a great place to start. If you are particularly helpful, I might wish to hire you as a paid contributor/advisor. Simply PM me or post that you are willing to give feedback and I'll contact you. Again, not looking for too much here...just have some questions that I think my visitors could benefit from having answered. To the best of my knowlege, Toddc is the only auto person who posts here. He would certainly be a good resource. You may be better off looking through the old posts at the old forum, and emailing those who seem like they know what they are talking about. Thanks for the advice. I just didn't want to appear like a spammer and start emailing people out of the blue, so was hoping a few people would come to me instead. New to the Whole Accident Thing, Just Looking to Get Some Opinions on the Situation. Opinions Welcome... Will It Buff Out?